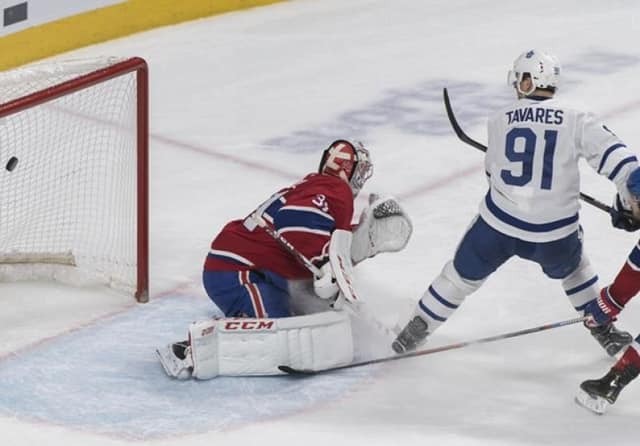 A nifty pass from Mitch Marner, in overtime, allowed John Tavares to beat Carey Price at the 2:17 mark in OT. The final score was 4-3. Andreas Johnsson, Nikita Zaitsev and William Nylander also scored goals for Toronto. Freddie Andersen stopped 35 shots to earn the victory. Stars of the game were: 1. Tavares, 2. Andrew Shaw, and 3. Andreas Johnsson. The Leafs travel to New York to take on the Rangers Sunday evening.